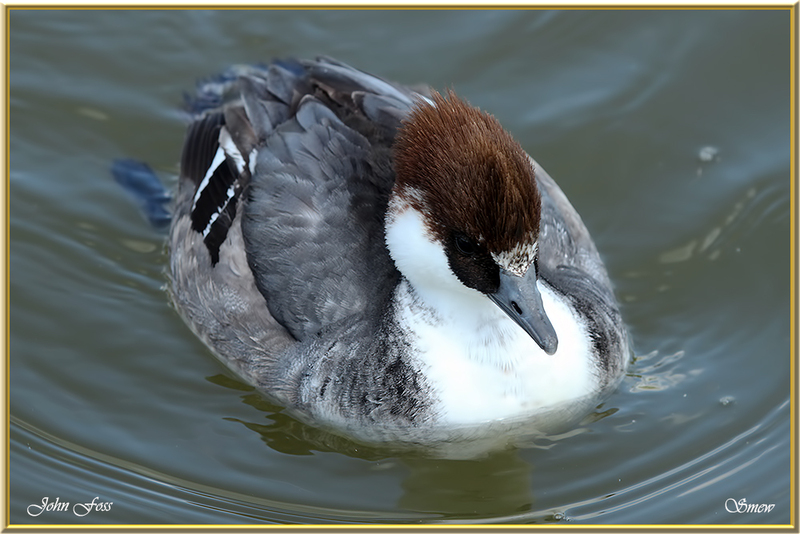 Smew - breed in Northern Europe and Asia. A small number of these reach the UK and Ireland but are quite rare to find. They nests in trees and have even been known to build in old woodpeckers nests. 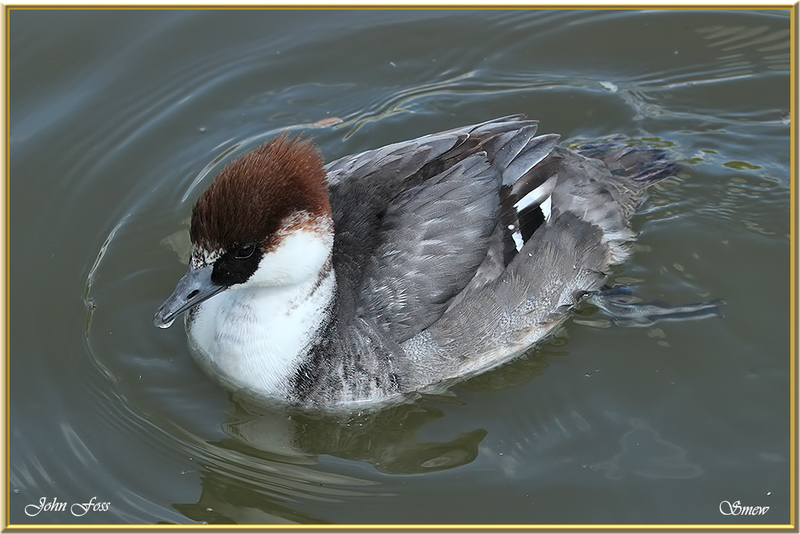 The female is shown here. 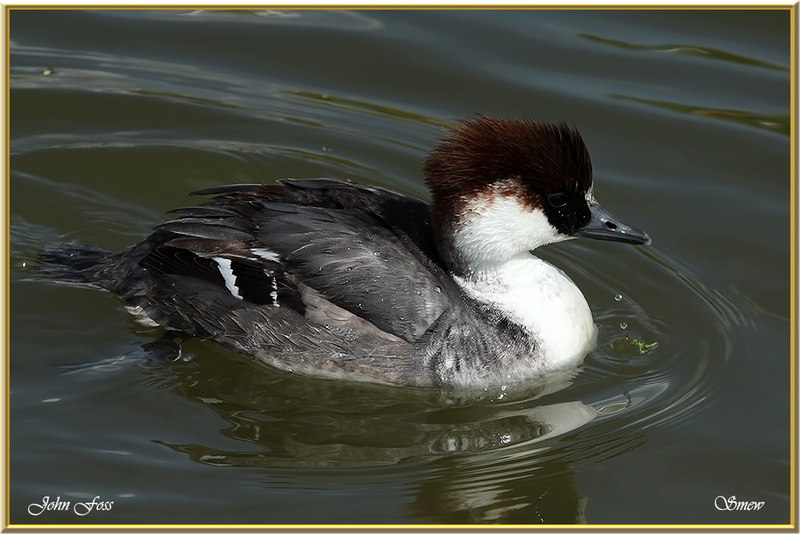 I have yet to come across the male which has a very striking black and white plumage. 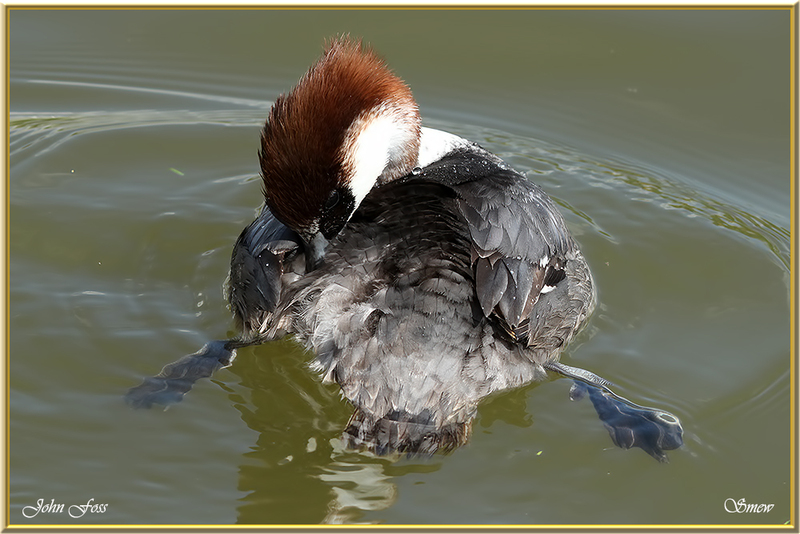 These images were taken on a private lake in Staffordshire UK.